You’ve had enough of diapers, now what? The time has come for your child to leave diapers behind and move up to the real toilet, but there is always going to be that extra little pesky step between the two: potty training. What better way to make that transition as easy as possible with a proper, stand-alone potty training chair? Encourage your child’s independence by providing them with the tools to succeed with a personal potty that is the perfect size for them. Each of these top sellers includes a variety of features to make sure that you have the perfect fit for your child’s comfort and ease of training. Let’s take a look at the best potty training chairs the market has to offer. One of the key components to successfully teaching a child how to use a proper potty is to make sure that they are interested and rewarded by the experience. Fisher-Price took this to the moon with their entertainingly jovial design of the Learn-to-Flush Potty. Reward is the name of the game as internal sensors register liquid and play a cheerful little tune for instant gratification after your little one uses it. The handle flushes just like an adult toilet, with realistic sounds and an open window with a swirling water tank that twirls behind a happy smiling face. While this training potty is far more toy-like than others, the endearing nature of its design will ensure that most children want to use it. On a more practical note, the plastic design makes for simple clean up. The bowl insert is simple to remove, clean, and replace. The seat itself is removable, features a built-in splash guard and molded hand grips for stability, and doubles as a separate training seat, though it is not recommended for cushioned toilet seats. The singing and flushing features require only three AAA batteries and, if desired, the “sing when wet” feature can be turned off by the simple flick of a connector. If you want a great option that will reward your child without you having to always be present. The Learn-to-Flush Potty is a lovely little addition to your repertoire of tools, and you might just find your little one becoming eager to learn faster. The Fisher-Price Learn-to-Flush Potty has an MSRP of $29.99, but check the current Fisher-Price Learn-to-Flush Potty – Amazon price here. To make the transition from diapers ton full-sized toilets as easy as possible, sometimes it is best to introduce a child to a visually similar potty chair that imitates the real thing in all the ways that count, as is the case with Summer Infant’s My Size Potty. The My Size Potty is shaped and molded to be a miniaturized version of what is already in the bathroom, with the convenience of a training potty. The silver handle plays a flushing sound to audibly reward a job well done, further enforcing the reward portion of potty training plans. The bowl itself has a raising lid, making standing urination a much simpler task than with other stand-alone potty training chairs. The removable bowl insert makes for super simple and easy cleaning, while a built-in wipe dispenser in the tank area promotes smart and healthy habits right from the start. The tank also serves as a storage space for potty books, extra wipes, or liners. It also includes a clip-on splash guard to assist whenever you need it to avoid spills and splashes. This stand-alone training potty will definitely be a hit if your child has shown interest in being just like a grown up, but can’t quite use the real thing just yet. It also looks quite good alongside an adult toilet, which makes a difference if you decide to place it in a bathroom that visitors might use. Available in white and pink, the Summer Infant My Size Potty has an MSRP of $34.99, but check the current Summer Infant My Size Potty – Amazon price here. When it just has to work the first time and every time, simplicity is key, and there is no need for excessively complicated frills and deals, especially if you already have a potty training plan in place. BABYBJORN does not mess with success when it comes to their Potty Chair. The Potty Chair embodies elegance and effectiveness in clean, molded plastic. Its smooth curves and rounded edges make cleaning a snap, as there are no grooves to catch grit. The high backrest provides sitting comfort and safety while the overall height and design of the chair itself is a touch narrower than other, similar designs, making it a great choice if your child has a thinner frame or trouble falling into wider seats. The removable bowl insert makes for the easiest clean up imaginable, requiring little more than a rinse and dry, or a wipe down with a hygiene wipe. The seat itself also includes a front splash guard to prevent accidental spills. 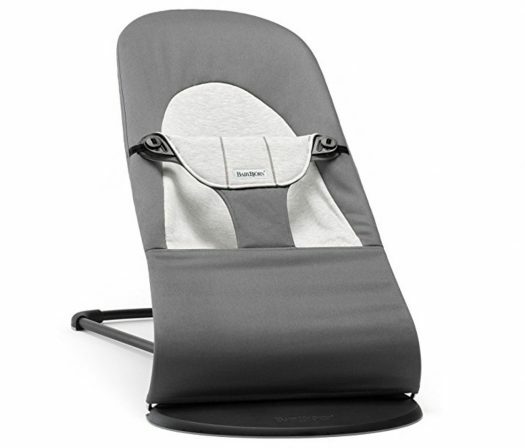 A rubberized bottom edge prevents sliding when your child is sitting and getting comfortable, further preventing slips and spills when getting up. There are no extra frills or gadgets involved, and no complicated moving parts to manage. 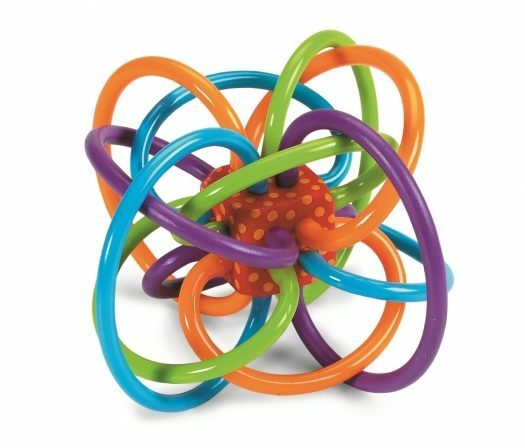 Traveling with a potty training child is as easy as 1, 2, 3 with this stand-alone trainer as you do not have to worry about losing any of the included components. When traveling to family or friends’ homes, the basin can be used for storage before being used, rinsed, and repacked for an easy travel option. The BABYBJORN Potty Chair has an MSRP of $31.95, but check the current BABYBJORN Potty Chair – Amazon price here. Potty training is a multi-step process for many, and there is no reason to buy different items when you can get all three in one with the Munchkin Arm & Hammer Multi-Stage 3-in-1 Potty. The plastic construction is sturdy and molded for comfort and safety with carefully and deliberately smoothed edges. The removable bowl insert has been contoured to be easily emptied, rinsed and cleaned, especially with the slight indent spout on the side. Side grips make your child’s stability a sure thing, especially considering that the seat can be removed and used separately. The seat itself can be placed on the adult toilet as an independent potty training seat. In this, the third function comes in especially handy: the ridged, textured lid is flat and solid, making it an effective step-stool to allow your child to transition up to a full-sized toilet or to more easily use the sink for proper hygiene. As if Munchkin needed to add on a bonus, a specially designed freshener disc locks into the lid to prevent possible odors from escaping in a safe manner, using the strength of Arm & Hammer. Refills are available in multiple pleasing scents to choose from, including lavender and citrus. When it comes to versatility in stand-alone potty trainers, this is at the top of the list for many excellent reasons. Available in both pink and blue, this training option also serves as a self-contained unit that can work well when traveling, as the lid prevents damage or loss of components. The Munchkin Arm & Hammer Multi-Stage 3-in-1 Potty has an MSRP of $23.99, but check the current Munchkin Arm & Hammer Multi-Stage 3-in-1 Potty – Amazon price here. Summer Infant has a winner with their Lil’ Loo Potty in multiple ways: simplicity of use, comfort, and value. The molded plastic features a high back support for ensured comfort, while the removable bowl insert is formed with a high splashguard to prevent spillage while the little one is learning how to use their new potty. The seat itself is built wide, so if your child has a wider frame, this stand-alone training potty will be the perfect fit, ensuring comfort for continued use. The entire unit itself is a bit shorter than similar designs, making sitting and standing a bit easier for children with shorter legs. The removable bowl insert is simple and easy to remove and clean with water or wipe. Any discoloration that may develop disappears with a quick wash with diluted bleach. This is an excellent and elegant option for the youngest member of the family to claim as their own, with rounded edges and smooth lines to prevent the gathering of grit and grime for a much cleaner experience. The Lil’ Loo Potty is available in five different colors, so you can tailor your choice to fit your child’s favorite color, making them more likely to enjoy using their new potty. The Summer Infant Lil’ Loo Potty has an MSRP of $10.99, but check the current Summer Infant Lil’ Loo Potty – Amazon price here. Potty training your child is already considered to be a complicated and stressful time in both your and your child’s lives. By choosing a stand-alone potty training chair, you are not only making it easier on yourself by using a middle step between diaper and adult toilet, but also giving your child a sense of independence and ownership over the same process. That can be a powerful motivator to succeed in what is otherwise anxious time. Equip yourself and your child for success with one of these five great options. And if space is an issue in your home, then consider a potty seat. You can check out our Best Potty Training Seats right here!